Ideal location guaranteed. Just a few minutes from the famous Crane by the Motława River. Located in the vicinity of Długie Ogrody- the continuation of the Royal Route. Enjoy the beauty of our facilities! Do you have any questions do you want to ask about price or book an apartment? We are waiting for your call! 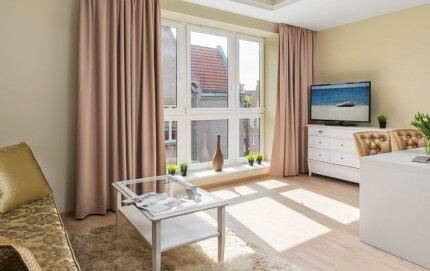 The Silver and Golden Apartments is a modern and comfortable relax zone in the very heart of Gdańsk old Town. It is also a wonderful idea for the leisure in one of the most beutiful Polish cities. Visit us!